My name is William, aka Zyrophr! I’m a french computer science student based in Paris. In my spare time I program or play rhythm games, but my main hobbies are keyboards and gunpla figures. As of today I haven’t build any of them. The Tina was built by kbdfans, and every other keebs are pre-built. So yeah, I’m kinda knew to the hobby, but I do have some knowledge (just a bit). I must say I’m more of a lurker, but this website actually gave me a chatty vibe! 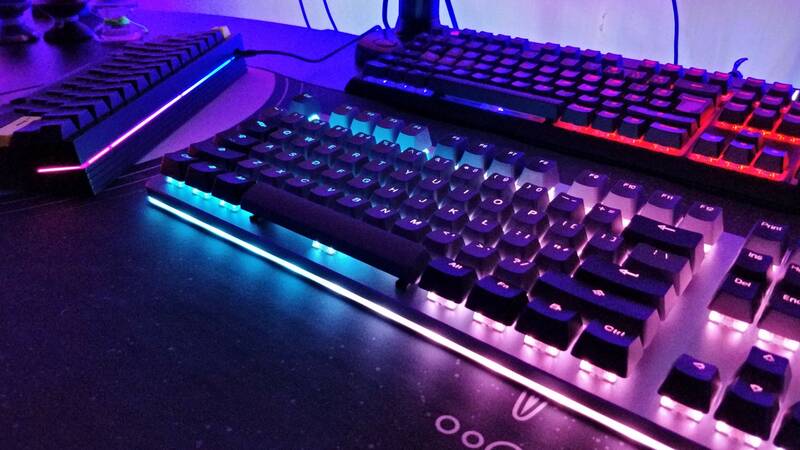 As for my next keyboard? I’m going to build, all by myself, a 65%, which should ship pretty soon now! I really don’t know which keyset to chose, I would have loved to go GMK but those are so expensive! I’m also a bit stressed, because this will be my first build ever, first lubing, first soldering, so I am really afraid of messing up something or burning my PCB. Thank you for reading all of this, and I hope I will discover more things about this niche hobby and meet nice new people! I just did my first build this weekend so I don’t know if I have the experience to provide you with some serious help. However : I’m also in Paris (5ème) so feel free to ask if you need any of the equipment needed to start your build ; I have a brand new TS80 soldering iron (it rocks), solder sucker, solder wick, some left over lube (Trybosis 3204 for my healios and permatex for my ZealPC screw-in stabs). The Space65 will be a great board to build! Welcome here and be sure to share your build once it’s complete! Oh my god, I’m from that district too! What a small world we live in! Well, thanks for proposing your help! I will maybe come to you (and this community) if I need anything! As for the tools, I should be okay, I’m gonna order some stuff on amazon for like, 30euros, so it’s ok, and I have a friend from America who just sent me a switch opener and some 205g0. But I admit I’m a bit curious about your build! We could talk on Discord! You will find my username in my bio, if needed.